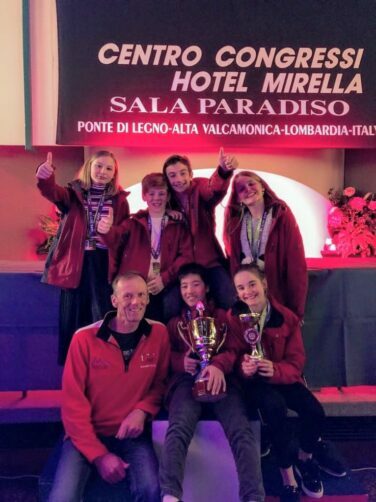 Aiglon's Junior Ski Team competed last week in Italy. Last Friday, six members of the Junior Ski Team all returned safely back to school after a successful five days at the IAPS ski championships in Passo Tonale (ITA). The three boys (Toi, Ashton and Tino) won the overall championship team trophy while the girls (Lana, Darcey and Peonie) were silver medalists in the girls competition. The event has a full-on programme, and so not to be outdone by the boys, the girls entered the talent contest and won the gold medal with their song/dance routine! As in Villars this winter snow conditions were fantastic down there and we explored the whole resort with many challenging black runs. Please congratulate them if you have the opportunity!